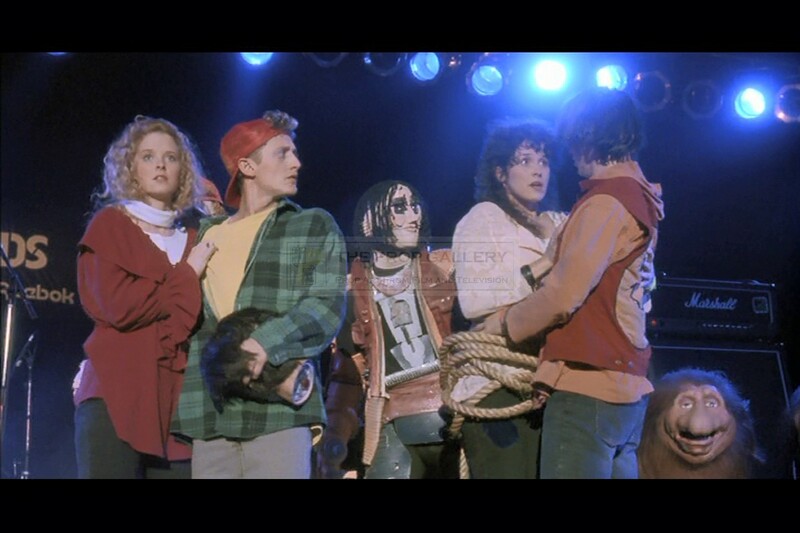 An original prop used in the production of Bill & Ted's Bogus Journey, the 1991 comedy sequel starring Alex Winter and Keanu Reeves. 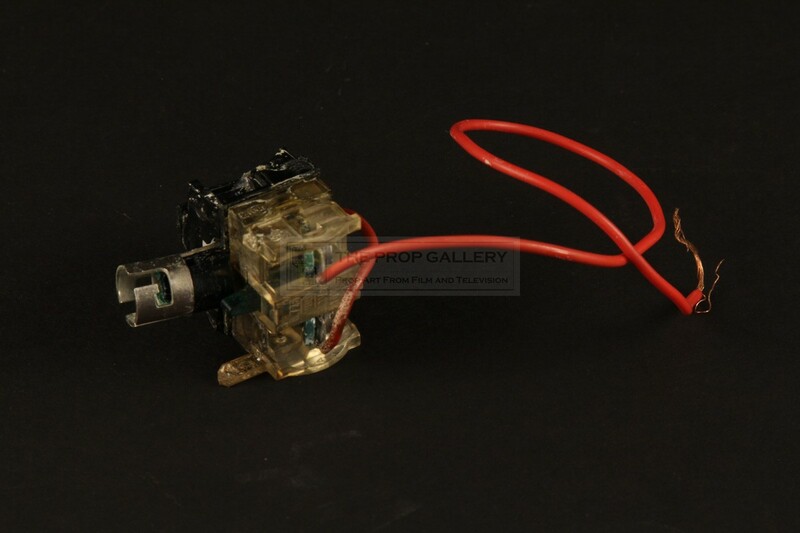 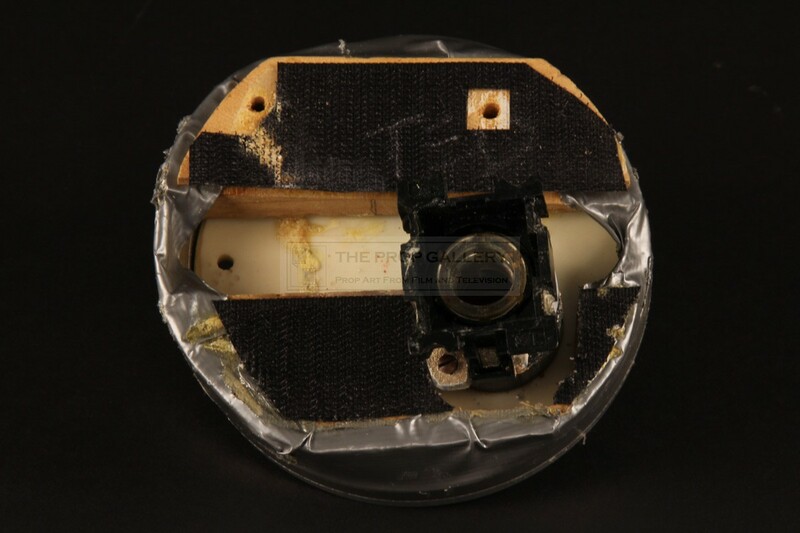 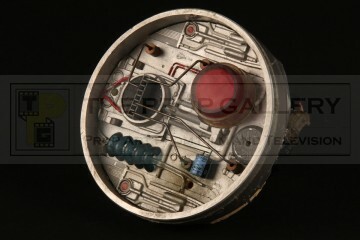 This is the original neck insert for Ted's (Keanu Reeves) robot alter ego seen as he removes his head with these effects created by Kevin Yagher Productions, the same head also appears to be used on stage during the climactic scenes of the movie. 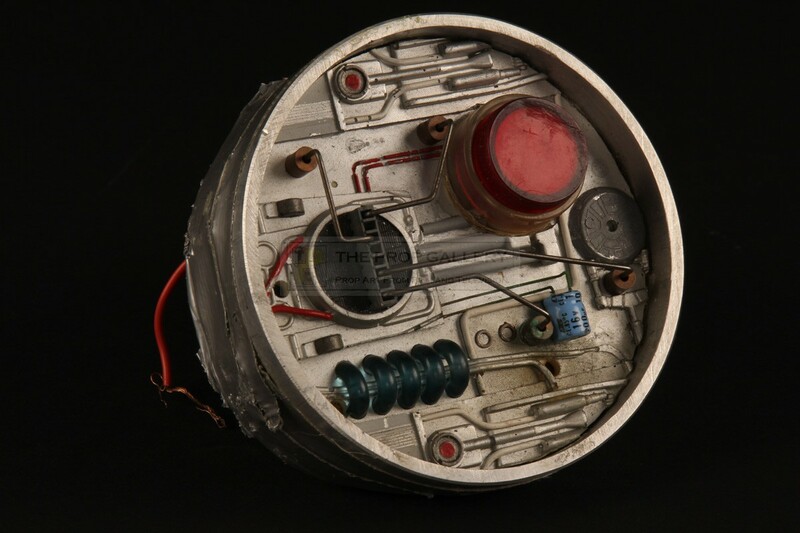 The pieces is custom fabricated from metal, wood and resin dressed with various electrical components to appear robotic and features a large red button with bulb housing to the underside which is no longer functional, hand inscribed 'TED' to the affixed velcro. 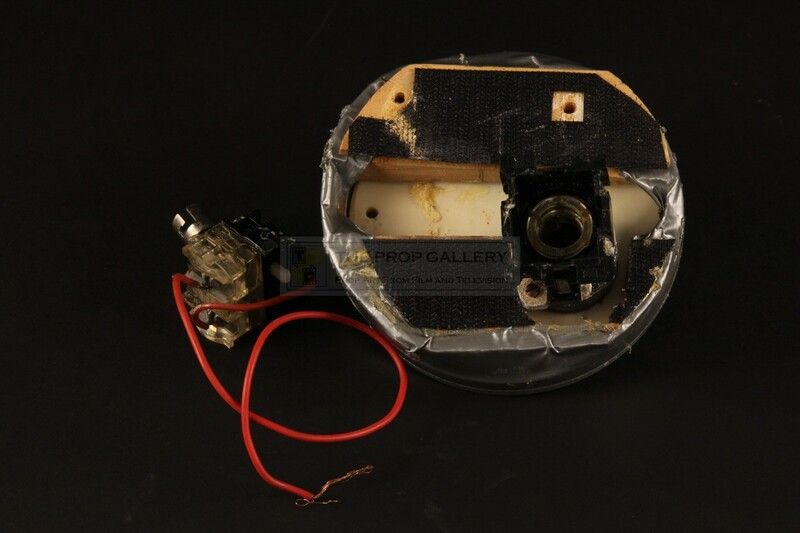 The prop measures approximately 4" in diameter and remains in good production used condition with some damage and corrosion to the bulb housing, otherwise fine. 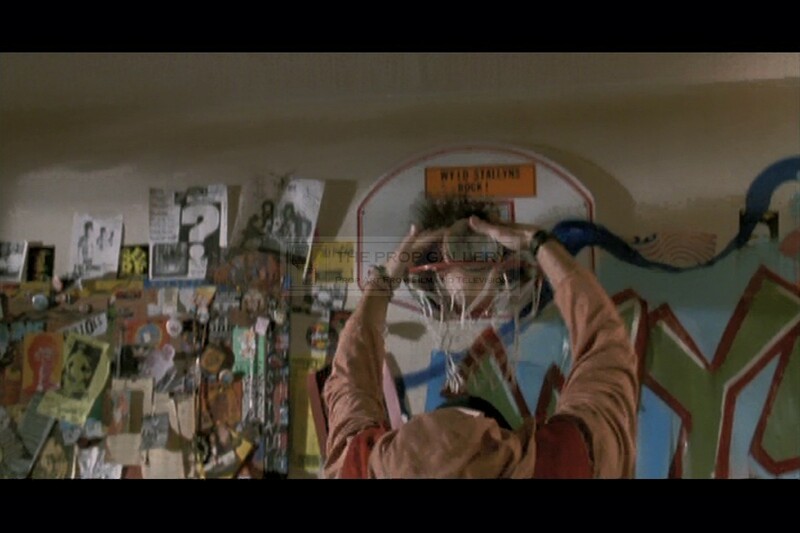 A rare and displayable artefact from this cult comedy franchise.